Pre-Register for the South Atlantic Hops Conference! The South Atlantic Hops Conference will be March 4 and 5th in Richmond, VA. The Friday event is sold out but there are still some tickets available for the Saturday program. To get the pre-event discount, you must register online by 11:59 p.m. on February 29th. Hardywood Park Craft Brewery, Ardent Craft Ales, and Strangeways Brewing. Brian Nelson, Head Brewer Hardywood Park Craft Brewery. Dave Warwick, Brewmaster Three Notch’d Brewing Co.
• 2016 Monthly Research Hop Yard Tours! 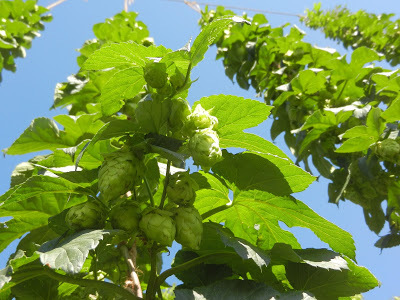 • Want to Learn All About Growing and Selling Hops?